Even if you don't necessarily think of sports cars as "for men," the fact its that the majority of Porsche buyers are male. The company would like to change that, with a vehicle that's quick like a sports car, except roomier, though not as huge as an SUV. 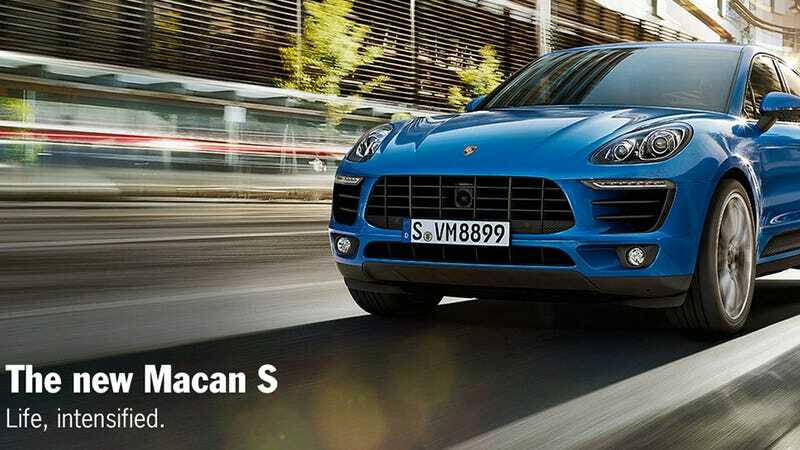 Meet the Macan. As a category, the crossover is already popular among women and young urban types and is one of the hottest segments in the industry. Twenty years ago, there was no such thing. The Subaru Outback, which first hit showrooms in 1994, was the closest relative. Porsche created a straight-up SUV (the Cayenne) in 2002, and did find that sales increased. But the company is pushing for more. In April 2013, Porsche announced a new brand ambassador, tennis star Maria Sharapova. It's significant that she's a woman; 85 percent of Porsche buyers are men, and the Macan is intended to win new customers. About those customers: They're out there. There are women with money to spend. Female voices are not in abundance at Porsche. The seven executive board members, a group that includes Maier, are all men. Still, Maier says the company wants to appeal to female customers because it's good business. The U.S. now has more women with driver's licenses than men, according to a June study by consultant Frost & Sullivan. There are also a lot of very rich women in the world these days, about 23,500 whose wealth is valued at more than $30 million, according to UBS. Maier says the opportunity isn't only in SUVs; women are a fast-growing demographic for small, sporty convertibles, too. They aren't divorced dermatologists in country club mansions; they're Greenwich moms who take their kids surfing and thirtysomething entrepreneurs in Shanghai. Which means, unlike the old ads convincing women they could match their lipstick to their car, so far, the Macan is not being marketed like an girlish accessory. On the website, the unisex slogan is "life, intensified," and the model car is sapphire metallic blue. In fact, the Macan doesn't even come in pink (or red). It is pretty cute, though.